When it comes to products that guarantee to improve sleep we are the experts. 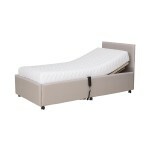 All Relax Master beds are hand upholstered made in the UK by the highest skilled craftsmen. 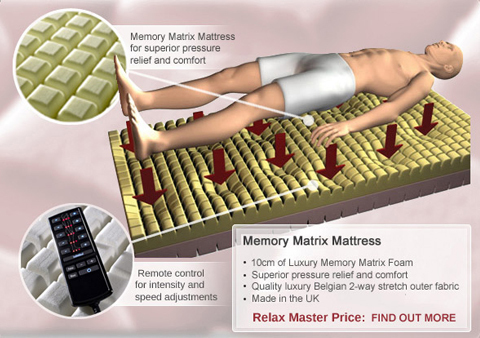 All our mattresses come with the unique Memory Matrix System and have Outlast® to avoid temperature swings throughout the night. With Outlast® you feel not too hot, not too cold but just right. 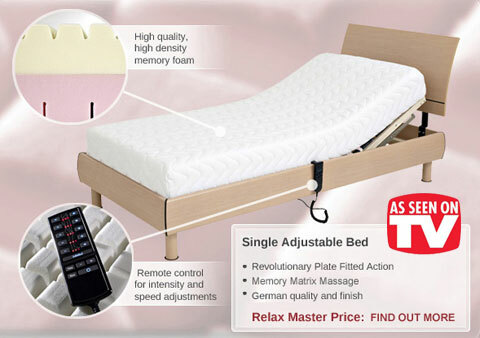 With a fantastic range of electric adjustable beds available, it is easy to see why so many people choose Relax Master when they are looking for a simple yet effective way to transform the way they sleep and relax. We understand the importance of a good night’s sleep, which is why we have invested in developing a range of beds which are designed, first and foremost, with your comfort in mind. 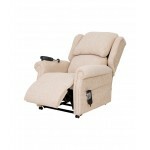 For customers looking for a mobility bed with a difference, the Relax Master range could be perfect. 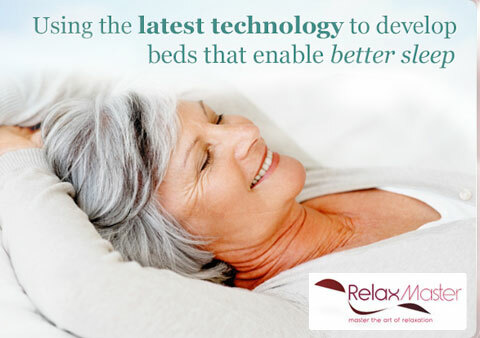 We work hard to create beds which are the perfect match for our customers’ needs, so you can rest assured that when you invest in a Relax Master mobility bed, you are investing in the ultimate in comfort, convenience and relaxation. Why not contact us today to learn more, and take your first step towards a more relaxing lifestyle. With a choice of three designs hand-crafted in the UK, all of which offer unrivalled support and comfort, our Electric Beds can help you to banish bad nights of sleep for good. 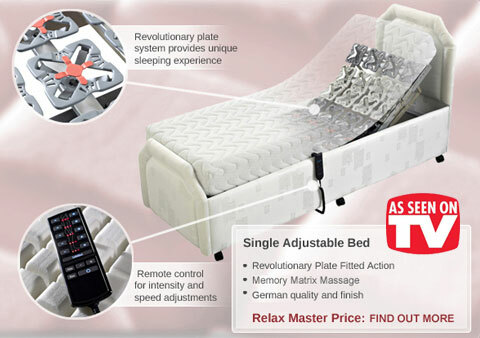 The adjustable bed that you buy from Relax Master will also be easy to assemble, which means that it won’t be long before you can enjoy your first experience of a Relax Master bed. 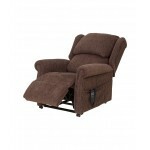 Take your time to browse our products, and place your order today to see for yourself the quality of relaxation that a Relax Master adjustable bed can offer.